After the winter's ice storm, some of the birch and smaller trees didn't look like they would make it. But they did: strong and alive, just a bit crooked. 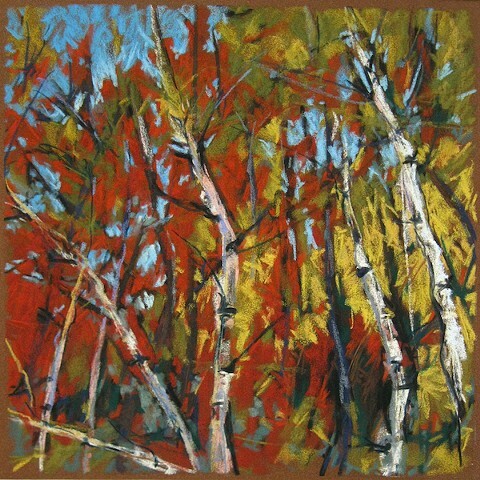 Juried into the Pastel Painters of Maine 16th International Juried Exhibition. The show was held at the Lewis Gallery, Portland Public Library, Portland, Maine.